Rice is one of my favourite ingredients when it comes to skin and hair care. 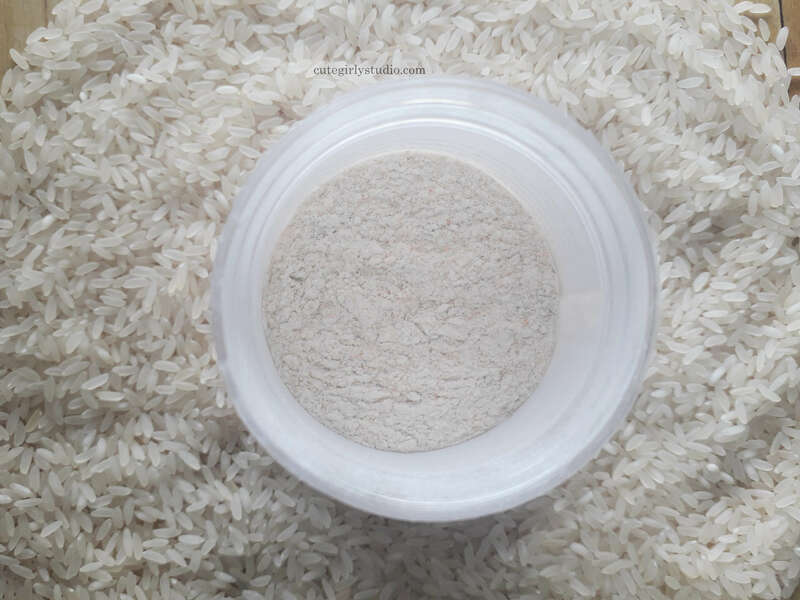 My mom uses rice water mixed with herbs powder to wash my hair and body when I was a kid. Years passed and I started using conventional shampoos and bathing bars. 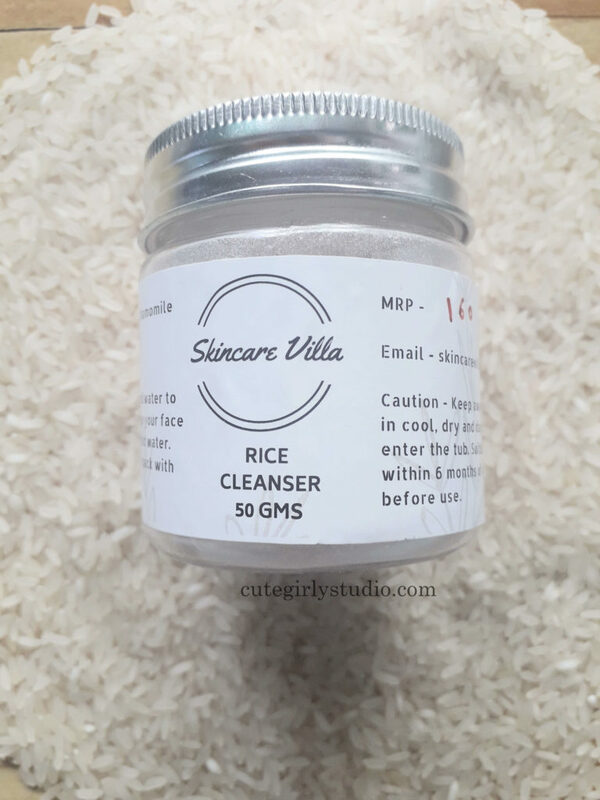 Back to the review, today I’m gonna review skincare villa rice powder cleanser. I absolutely love her powder cleansers and I can proudly say that I have used all of her cleansers. The powder cleansers work really well for my skin type and I always have a jar of her cleanser in my vanity. 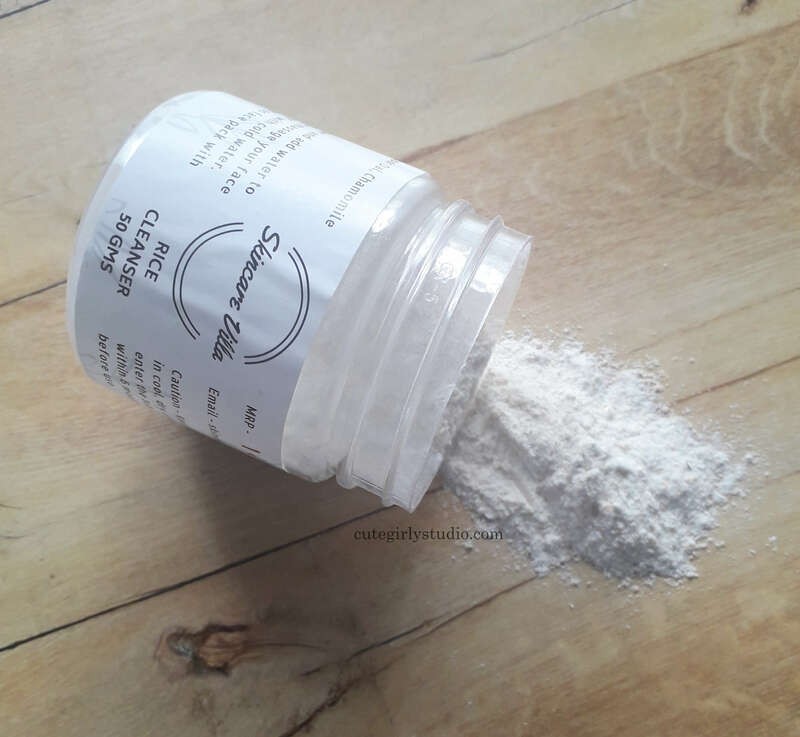 Rice cleanser is a new addition to her powder cleanser and here are my views. 160 INR for 50gm. You can DM her here to get your handmade jar of cleanser. Rice Flower, Masoor Dal, Chamomile flowers. Take a small amount of cleanser and add water to make a smooth paste. Gradually massage your face in circular motions and wash off with cold water. Don’t rub harshly. Can be used as fa ace pack with warm water. The cleanser comes in a sturdy transparent jar with metal lid. The label has all the information and overall the packaging is simple and travel friendly. Masoor dal helps to remove tan. It also removes dry patches. When used regularly, it treats hyperpigmentation. Masoor dal is protein rich. Protein rich packs are essential for keeping the skin dullness away and to give a new life to your skin. Chamomile is strong Anti-inflammatory, great for sensitive and acne prone skin types who have inflammation. Natural skin lightener promotes a healthy glow of the skin as it heals and restores its natural moisture content. Antioxidant rich, helps reduce acne inflammation, breakouts, and minor scars. I always use powder cleansers either with warm tea or warm water. I take some cleanser in a bowl and add little warm water and let it sit for about 5 minutes. Then I apply it all over my face and leave for 5 minutes on my face. Then I splash some water on my face and remove it gently without tugging my skin. After rinsing my face, I can feel that my skin feels smooth and supple. I am using this for atleast 3 weeks now and I have emptied almost 80% of the cleanser. Since this has masoor dal, it helps to remove tan and fresh scars. I had a bad breakout phase a few weeks back and this cleanser helped to soften those fresh scars. Chamomile flowers give a soothing effect to our skin. Chamomile also has skin brightening properties and it also adds up to the brightening effect of the rice. The rice cleanser made my skin brighter and smooth. Also, one thing I noticed is it helps to control excess sebum. Overall I just love this cleanser, it helps to soften the fresh scars, makes skin smooth and also brightens the skin. What else I can expect from a cleanser. Honestly, I couldn’t find one. Personally I don’t like the way how chamomile flowers smell but I can’t consider it as a con though. Will I recommend this cleanser? Yes, it rejuvenates the skin and also has soothing properties. If you are looking for a cleanser that helps to remove tan and dull skin then this a must buy. Yes, I love this cleanser.